I have four brothers and three sisters. I know what it’s like to be a brother. It’s easy. I laugh with them, tease them and play golf. Easy. I don’t know what it’s like to be a sister. From what I have observed there is a certain flavor to the relationship of sisters. It seems that their relationships are as complex as a biology final. Grace and Lily like to shower together. Lily’s too scared to shower alone and Grace is too little to go without a companion. During their showers they do a range of actions. Some of these actions are: screaming, fighting, laughing, jumping and scratching. One Saturday night I heard affectionate laughter from the bathroom and thought it might be sweet to get a few photos. By the time I got my camera and entered the bathroom Grace was weeping hard. Lilys face is wearing a look of satisfaction. Could it be a victory over who holds the soap? Canon Eos 1n, tri-x film. Exposure unknown. 24-70mm lens. There is a longstanding tradition in photography of photographing human subjects through frosted windows, screens, lace etc…. 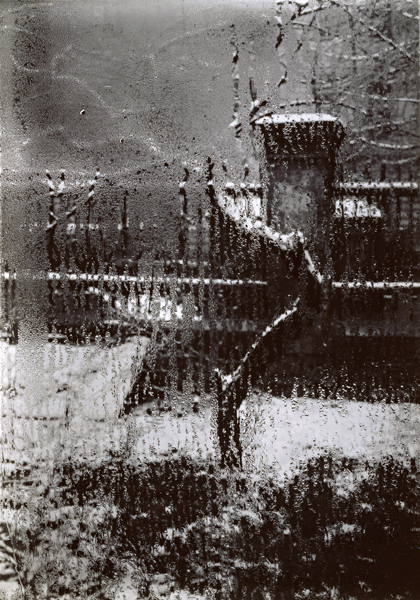 One of my all time favorite photographers, Josef Sudek (Poet of Prague, as he is called) was confined to his miserable little house in Prague during the Nazi occupation of WWII. He wasn’t allowed to photograph outside. 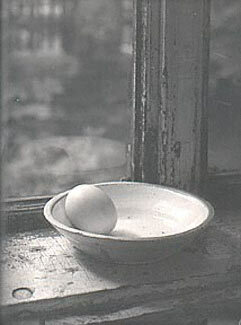 Although his catalogue of imagery is stunning the most delicate and enchanting images he created were of mundane subjects like frosty windows, eggs and window ledges. 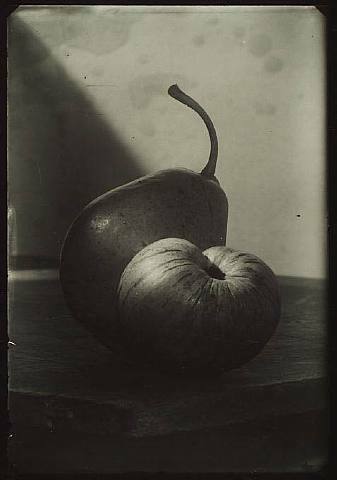 They are contact prints of small sizes (5×7, 6×8) that are as sumptuous as cream pouring out of a glass pitcher. He shot these with the use of a rickety old view camera and one arm. He lost his other arm in WWI. Great photography isn’t “out there somewhere” it’s right between your ears.